Watch a short video on how to assemble one of our recycling carts. Our carts are the most durable in the industry and won't rust. We use heavy duty wheels, stainless steel hardware and offer a lifetime warranty. 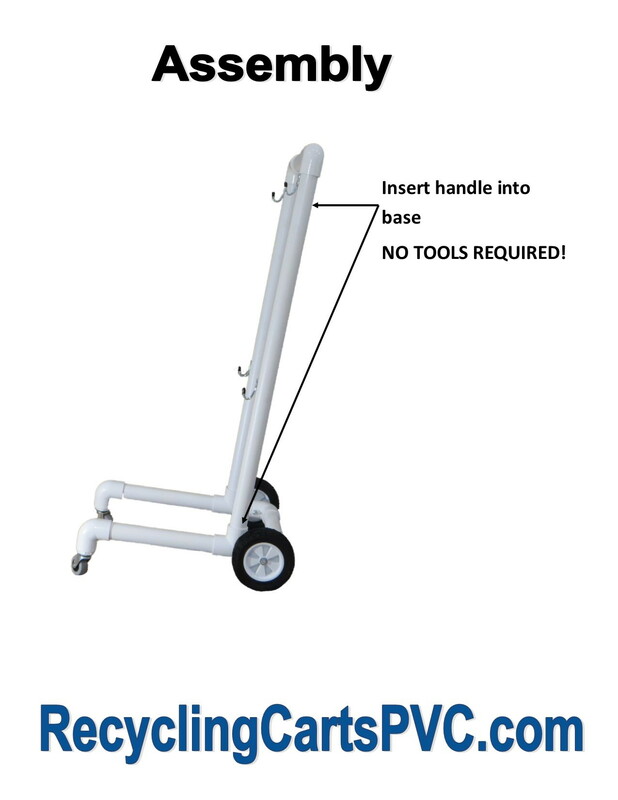 Our carts can be assembled in approximately 30 seconds and require no tools for assembly. If you are interested in ordering on of our carts, please click here!